Nose: Young, Sharp, Dusty and not very pleasant. Grain Alcohol and something I can only describe as a mixture of Varnish and Nail Polish are the main drivers. I also find Sugar, Burnt Grass, Refill Oak, Sweaty Feet and traces of rotten Fruit, Bitter Herbs and Vanilla. Taste: Young, Sharp, Bitter and Sugary Sweet. I find Grain Alcohol, Bitter Herbs, Refill Oak, Burnt Grass, Pepper and a little Honey and Vanilla. Finish: Short and Sharp with Alcohol, Bitter Herbs and Pepper leading the way. Added Water does not improve anything. 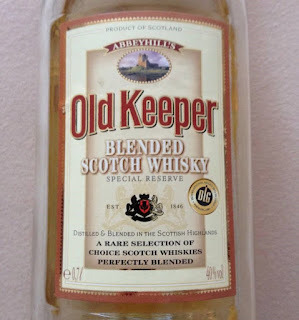 General Remarks: The Old Keeper is sold in Germany by the Supermarket Chain Aldi (Sud). It´s very cheap with prices between 10 and 15 US Dollars (July 2016). I´m sure it contains at least 70% 3 Year Old Grain Alcohol. It´s not possible to determine any specific Malt Whiskies used in this Blend. 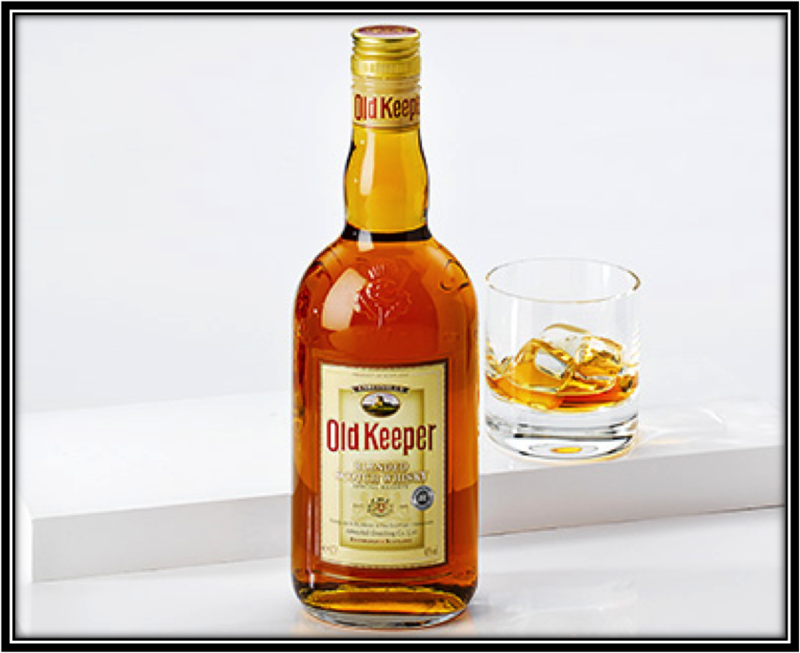 Drinking Experience on the Rocks: Borderline drinkable but without providing any satisfaction. Conclusion: The only positive aspect of the Old Keeper is its low price. I´ve seen it as low as 7 Euros. Other than that, this Blended Whisky is better left alone. If you are low on cash, Bourbon and Vodka are much better options. 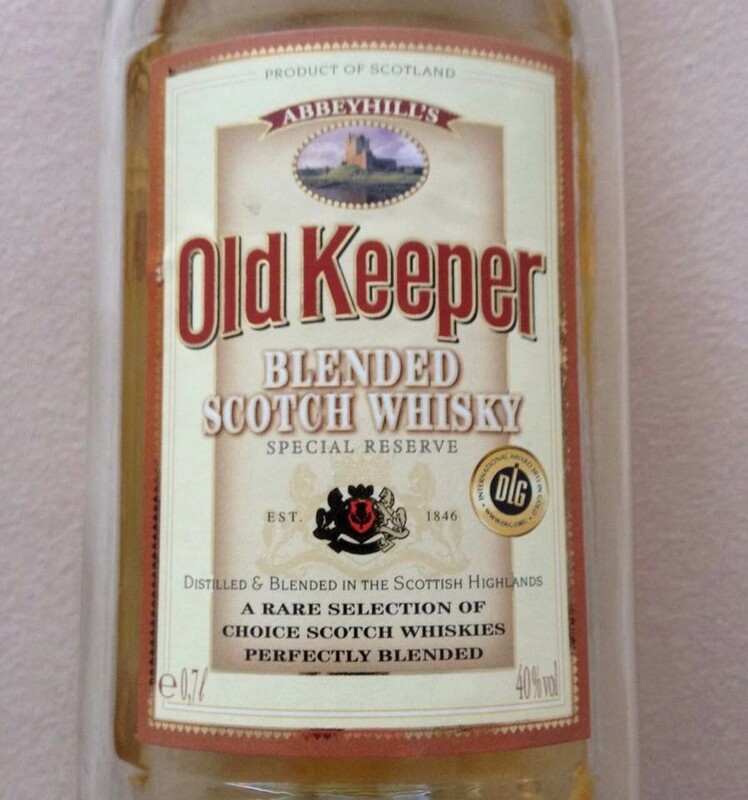 It really hurts to know that some Single Malt(s) are used for the Old Keeper!